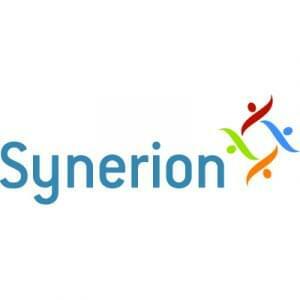 Synerion is a workforce management software focusing on time and attendance, scheduling, labor costing, absence management, Core HR, and more! Synerion offers software that allows companies of all sizes to manage their workforces. Some of the main features of Synerion include Time and Attendance: Synerion offers a variety of time capturing methods including biometrics, badges, web punch, or mobile. Scheduling: Synersion allows users to provide accurate and up-to-date schedules directly to employees. Employees will receive an email or SMS when their schedule is ready for them to view. Absence Management: Synerion allows employees to easily request time off right from their phone and have the software manage and update all their accrual policy information. Labor Costing: Track hours to jobs, task, or any project in the company. Report on these results to help maximize ROI. Core HR: Synersion allows users to keep track of and maintain employee records and important information such as hire date, qualifications, training and many more. Timesheets: if it is not necessary for employees to punch in/out, they can complete timesheets. This will allow employees to record their time on what they have been working on to approve the time. Still not sure Synerion is right for you? Use our Product Selection Tool to compare other Human Resources Software solutions. Have questions? Call one of our unbiased Technology Advisors for a free consultation. Learn everything you need to know about Synerion. Our experts will reach out to you shortly.